Have You Forgotten About the ‘Cookie Law’? You’ve all heard of the Cookie Law, right? 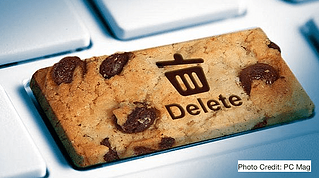 The Cookie Law is actually the EU ePrivacy Directive and was responsible for the incredibly irritating banners that pop-up on almost every website in the EU. About the only good news for some organisations is that the banners will likely go away under the new Regulation. Even for those who are aware of the ePrivacy Regulation (perhaps have even read it), there is still a great deal of confusion. Not just related to the contents of it, but as to whether or not it’s even relevant with the GDPR already covering ‘privacy issues’. It has the most significant impacts in the area of marketing. So, if your business has a website, performs marketing, or communicates with clients over ‘electronic channels’, you are in scope. So why isn’t there anywhere near the kind of panic and hype over this Regulation as there is GDPR? If anything, I’d say this one has greater impact on most business, with a far greater degree of negative impact on how you are currently conducting your business. Just ask an online publisher what they think of it and brace yourself for the answer. Imagine, for example, you provide online content free of charge. Your revenue is driven by online advertising which is in turn personalised to the viewer by cookies. Under ePrivacy you could no longer rely on pop-up banners to force acceptance of cookies, instead you have to rely on the viewer accepting cookies by default in THEIR web browser. Not only that, the Regulation is basically saying that all browsers should be ‘block all cookies by default’, then, in plain language, walk every EU citizen through changing the defaults to more ‘merchant-friendly’ settings. Not surprising that during the ‘Stakeholder Consultation’ conducted from 12 April to 5 July 2016 that 83.4% of citizens were for it, but 63.4% of businesses were against it. The lobbying that has taken place to soften the wording, while fruitless so far, has had the likely impact of delaying the enforcement of the regulation beyond the proposed data of 25 May, 2018 (yep, same date as GDPR, that’s how closely they are linked). So I frankly have no idea why GDPR is such a big deal and ePrivacy is so obscure, but you just know it’s because only one of these is easily monetised by snake-oil merchants. GDPR attracted cybersecurity “professionals” because it’s about ‘data protection’, and lawyers because of the ‘lawful bases for processing’ and the requirement for DPO. ePrivacy on the other hand provides no easy remedies, but you know they’re coming. The bottom line here is that if you’re not familiar with it, get familiar, it WILL impact you. Once again, for those in the UK the ICO has lots of material on its website, but look for Privacy and Electronic Communications Regulations (PECR)¹ instead. Like how the DPA is the UK’s implementation of GDPR, PECR is ePrivacy.